Think those dollar stores are only full of useless junk you don’t really need in the first place? Guess again. I too used to think that, until I stopped into a local Dollar Tree the other day on the advice of my grandmother, who wanted me to pick up some holiday wrapping paper for her. I had never thought of checking out one of those stores for much of anything, but she insisted that I stop there to buy the paper she needed. Once inside, I thought I had hit the jackpot, as they had tons of products priced at just $1 that I normally buy at my local drug or big-box stores for much more money. A two-pack of Colgate Classic soft-bristle toothbrushes, as ours were almost ground down to nubs. A cotton knee support for my aging runner knees. Travel first aid kit for keeping in the truck, just in case. Adhesive Bandages, 100-ct. box of assorted sizes. When can you ever have too many bandages in your house? 35-sq. ft of aluminum foil wrap, for wrapping up those leftovers. GoodSense fold-top sandwich bags, 120 pack. A pair of microfiber dish scrubber sponges. These are great to have because you can wash them in the dishwasher when they get grubby, unlike regular sponges which you would just throw away. A set of 2 rolls of Christmas wrapping paper for grandma. Two gift bags for me to put to my grab-bag presents in. One Colgate soft full-size toothbrush – $1.99 each, so $3.98 total. CVS Aluminum Foil 75 Sq Ft – $4.39. Since this is double the size of the roll I bought, will cut this price in half to $2.20. So, I am sure you must be wondering what the grand total is for all those items were you to buy them at CVS. Hold on to your hats, because it comes out to $55.76, or $43.76 more than they would have cost if you had found them at a dollar store. How is that for saving a ton of money on everyday items we all often stock up on without even giving the cost much thought? If you were able to make a few trips a year to a local dollar store rather than where you typically buy these type of items, you could potentially save hundreds of dollars over the course of twelve months. In this economy, more dollar stores are popping up all over the country, so chances are you have at least one close to you. There are many different stores out there operating under different names, but some good ones to start with include Dollar Tree, Dollar General, $.99 Only Store, and Family Dollar. I truly thought these were stores full of items that absolutely no one ever needed, but my thinking was far from the truth. With some selective shopping, you can definitely make a dollar-type store work in your favor, saving yourself a small fortune in the process. Do you shop at your local dollar store? Or do you avoid them like the plague? Let us know in the comment section below! I stopped paying fees to use an ATM about a year and a half ago when I moved my checking and savings from Bank of America to Charles Schwab. No matter where I am, how often I do it, or how much money I withdraw, Schwab reimburses me for any fees I incur from using other bank’s ATM machines. That’s a lot different than how much I used to get charged by BofA anytime I wanted money from any other ATM machine but one of theirs! But now with internet and local banking becoming even more popular, there is absolutely no reason that you need to stay with a bank that wants to charge you a small fortune to access your own money. Here are eight of the more popular banks offering checking accounts with no ATM fees, no matter where you use your ATM card. I seriously cannot say enough about Schwab’s checking account. It costs nothing to open an account, there are no minimum balances, I don’t pay a dime for checks or deposit-by-mail envelopes, and I can now deposit checks using my iPhone camera. All that in addition to the fact that they reimburse any ATM fees I am charged, anywhere in the world. Although it started out as General Motors Acceptance Corporation (GMAC) to finance automotive customers, Ally Bank certainly has some great features as a checking account provider. There is no charge to open an account and there are no minimum balance requirements, they pay 0.50% APY interest on balances below $15,000, and they don’t charge their users ATM fees and reimburse fees that any other bank charges for ATM access. And you thought they were just an insurance company, didn’t you? Well, State Farm also offers a checking account that competes with any other company. Although opening an account requires a deposit of $100, there are no monthly fees or minimum balance requirements after doing so. Your first order of checks is free, and they too offer unlimited ATM fee reimbursements — as long as you sign up for direct deposit. The Bank of Internet is just that; a bank that is everywhere and nowhere at the same time. Rewards checking results in an up to 1.25% APY, deposits are possible from the comfort of home, and there are free unlimited ATM fee reimbursements. I had never really heard of the Bank of Internet, but it’s definitely on my radar now. You can deposit checks from home with a scanner or your iPhone. You can deposit them in your neighborhood at participating UPS Stores. Account holders get free checks and pay no fees or have any minimums. On top of all that, USAA does not charge you to use your ATM card and will refund up to $15 in other banks’ ATM charges. I still have several savings accounts at ING Direct, but for those looking for a new place to do their checking they should take a look as well. They pay a competitive APY interest on checking balances up to $49,999 and offer free online bill pay with free postage/mailing of paper checks, all while giving account holders free access to their money at over 35,000 ATM machines. With a minimum opening balance of only $1,500, free bill pay, and the ability to make deposits from home using your scanner, EverBank has some good features in addition to their unlimited ATM fee reimbursement program. The only problem I see with it is that in order to qualify for those reimbursements, you have to keep a $5,000 daily balance in your account. That’s a little outside my comfort level to get something that other banks offer with no conditions, but nonetheless ATM fees are reimbursed at that level. Don’t fall for any marketing from a bank that says “No ATM Fees” but actually only means they don’t charge you for using one of their machines. You want free ATM use at any ATM, anywhere. Some banks only reimburse you up to a certain amount each month while others will reimburse any and all ATM fees with no limit. If you rack up a lot of fees every month, it’s better to go with a bank that offers unlimited refunds. Getting charged a fee by your own bank as well as the owner of the only ATM you found within 10 miles of you can be frustrating. Paying upwards of $5 to access your own money while away from home is a thing of the past, though, if you make the switch from your current bank to one that reimburses you for any fees you are charged. Of course, you could always opt for cash back at your local grocery store or retailer. But sometimes you just want to access $20 without having to buy a pack of gum at CVS, am I right? A few weeks ago I was reading an older article about a family killed in their sleep by carbon monoxide poisoning. Just like that, a family was wiped out overnight because of a silent killer in their home, one that could be present in any of our homes at any given moment. Without a carbon monoxide detector to alert them, they had no idea that the pilot light had gone out on their ancient heater and gas was filling their home; they just never woke up. While it was an incredibly sad story to read, it reminded me to check on my own detector in my house, which I then found to be broken and not working at all. I haven’t the slightest idea how long it had been out of commission, but I sure am glad I read that article and then walked over to check my unit. It wasn’t the batteries, which were fine, but rather the unit itself had gone bad at some point — something they obviously don’t have an alert/alarm for. 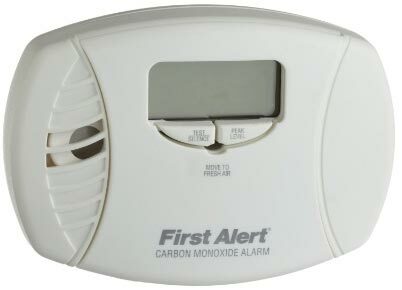 So I headed out to the store right away and picked up a brand new plug-in/battery back-up hybrid carbon monoxide detector for right around $30, and I think it’s the best $30 I have spent in a very, very long time. Carbon monoxide (CO) is a colorless and odorless gas which is the leading cause of fatal air poisoning in many countries around the world and concentrations as low as 667 ppm may cause up to 50% of the body’s hemoglobin to convert to carboxyhemoglobin, resulting in seizure, coma, and fatality. Symptoms of carbon monoxide poisoning include headaches, vomiting, nausea, and a feeling of dizziness, while victims can also exhibit signs of confusion and disorientation. CO poisoning accounts for about 170 deaths in the United States every year, mostly from malfunctioning furnaces, ranges, water heaters and room heaters. While that number may seem small at first glance, that’s 170 deaths that were probably completely avoidable and preventable by just having a $30 CO detector in the home. 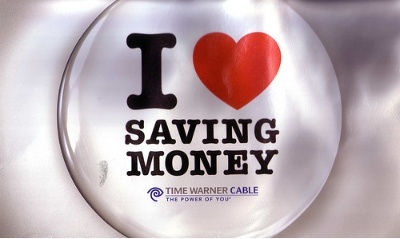 That’s a tiny financial investment in something that could save you or your family’s life. A family of four would spend more than that on fake food and sugary drinks eating out at McDonald’s! Move the victim(s) to fresh air, this will only relieve immediate symptoms of acute poisoning, remember if you have chronic poisoning that is low level and that has gone on for some time your deteriation may be gradual so it could be some time before you notice. Activate the Fire/Emergency Medical Service System, if victim(s) are experiencing any symptoms, if the fire department is called and they have the equipment ask them to record the CO PPM (parts per million of carbon monoxide in the air). Monitor for respiratory problems, get a COHb test to check for carbon monoxide levels in the blood. There is no reason not to have CO detectors in your home to protect you and your family. For $20-$30 each, it could be the best investment you make this year — or ever. Have you ever wondered exactly where all your tax dollars go and/or are spent? There are several websites which try their best to break down the facts for you, and I even mentioned one called Death and Taxes here on My Two Dollars back in 2006. (It is no longer a live site, however.) But now there is one officially sponsored by the U.S. government called the 2010 Federal Taxpayer Receipt, which is hosted on the website of the White House. President Obama promised last year that Americans could go online and see how their federal tax dollars are spent starting in 2010, and this website is a result of this promise that he made. 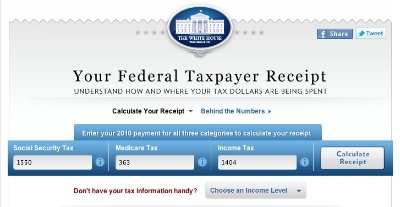 All you have to do is enter some information about the taxes that you paid for the year and the 2010 Federal Taxpayer Receipt will give you a breakdown of what programs your tax dollars went towards. By entering in the Social Security Tax, the Medicare Tax, and the Income Tax numbers from your tax forms, the website calculates a receipt for you, showing you what percentage of your tax payment went to different government programs. These include the topics of National Defense, Health Care, Veterans Benefits, International Affairs, Agriculture, and a bunch of other categories that may be of interest to you depending on your situation. I entered some of my tax numbers only to find out that 26.3% of the taxes I paid for go straight to the military and national defense. I always knew that percentage was high but I didn’t realize it was a full 1/4 of all the taxes I pay each year! I was also disheartened to see that over 24% of my taxes go towards health care, a product which I can’t even get for myself because of a past melanoma which renders me “uninsurable” by the private insurance companies in this country. At the bottom of the receipt you can see how all the percentages in each section add up to the total income and payroll taxes which you paid for the tax year. Whether you agree or not with how our government spends your tax dollars, it’s good to be able to finally see a breakdown of exactly how much goes into which programs that the government provides/is involved in. This is because now that you know these details there is absolutely no excuse for not working to change or alter anything you disagree with. Knowledge is power, especially when it’s your tax dollars being spent! Don’t like that so much money goes towards military uses? Work with some peaceful organizations to educate people about the horrors of war or how the military spends its money. Think the education of our kids should be a higher priority than it currently is? Join groups focused on changing the education system in this country for the better. While a lot (yes, even this liberal thinks so) of tax money is certainly wasted by our government (by members of both parties), a functioning society needs its citizens to pay some taxes in order to run efficiently and properly. If you don’t like how something is being done, it’s your job and duty to work towards changing it. In a democracy you are supposed to voice your concerns, and I hope that breakdowns like this Taxpayer Receipt will encourage more citizens to speak up and do the work necessary to make this as good as it can be. And PLEASE – let’s leave any issues/attacks related to the Office of President off this post. You can comment about any issues you have with what your tax dollars are spent on, but in reality every President and every Congress pretty much spends the money the same way, give or take a little bit every 4 to 8 years. It’s not necessarily a “party” issue, but a “government” issue. I would love to hear your thoughts about this subject, but let’s keep it civil. Thank you.